Air Partner, a global leader in private aviation, expects to see record numbers of charters to match destinations during the 2018 World Cup in Russia this summer, including groups, sponsors, teams and supporters. As one of the world’s leading charter brokers, Air Partner has worked within the sports sector for several decades and has grown in scale every year. 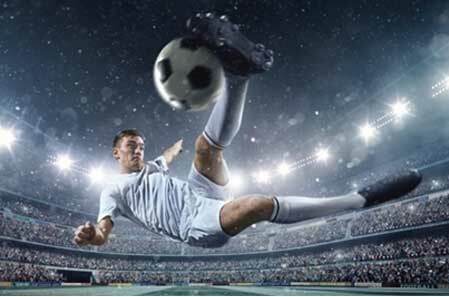 Clients can avoid unnecessary fatigue and stress preparing for their World Cup journey by flying to airports closer to the match venues and using private terminals. Flying privately enables travelers to set their own schedule, save precious time and get to signature events like the World Cup in comfort and privacy. Air Partner caters to a full group’s needs and requirements, providing bespoke on-board service and premium amenities through its ServicePLUS program. The program offers additional options to customize a travel experience with options ranging from discreet air charter to branding the plane itself. Commercial jet chartering presents the ideal solution for large groups and MICE (Meetings/Incentives/Conferences/Events) clients as well by offering the benefits of cost effective group bookings. Air Partner specializes in organizing charter aircraft to difficult locations with great technical and detailed knowledge of these regions. From companies seeking unique experiences for customers or staff who are soccer fans, as well as smaller groups looking to travel by private jet to the World Cup, Air Partner offers unmatched flexibility, security and convenience. The company’s dedicated account managers, backed up by its 24-hour Global team, deliver this industry leading service to clients. Aircraft used for sports fixtures have ranged from the Cessna Citation for private jet travel to the Airbus A380 for large groups, the world’s largest passenger airliner. More than 16,000 soccer supporters used Air Partner to travel to the 2014 Brazilian and 2010 South African World Cups. Throughout those tournaments, 1,500 corporations entrusted Air Partner to get their clients and employees through some of the most congested airspace and security protocols with the minimum hassle and inconvenience. Clients can book in complete confidence knowing that aviation safety is at the heart of the business thanks to Baines Simmons, an Air Partner company. Baines Simmons is a world leader in aviation safety consulting specializing in aviation regulation, compliance and safety management. Also, through Air Partner’s carefully selected partners, ground transportation and security assistance that can be provided across the whole of Russia’s vast travel network.